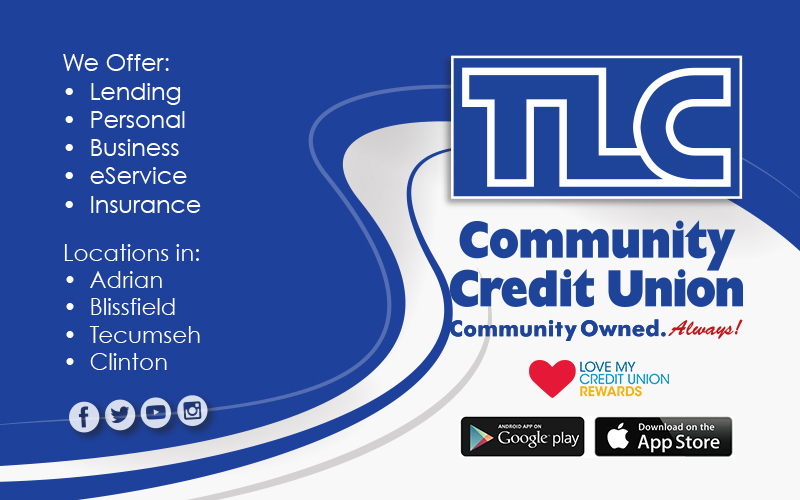 Welcome to TLC Community Credit Union, Tecumseh Road Branch located in ClintonMichigan. TLC Community Credit Union is recognized in the top 10 percent of credit unions in the nation. We have six locations serving Lenawee County: three Adrian branches, Tecumseh, Blissfield and Clinton. We also are part of a network of 5,000 co-op branch locations and 30,000 ATMs to serve our members nationwide. We enjoy serving our local community and give back through a variety of programs and scholarships! TLC currently serves members who live or work in Lenawee, Monroe, Hillsdale, Jackson or Washtenaw counties.